With 14 volumes released in the U.S to date, We Were There is drawing to a close. We Were There follows Nanami Takahashi, a normal high school girl who falls in love with Motoharu Yano, the most popular boy in her class. 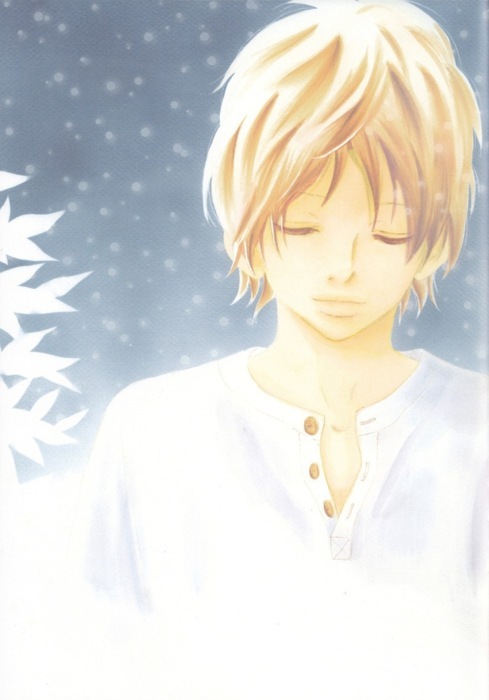 Nanami soon learns that Yano is still mourning the death of his previous girlfriend Nana, which puts a strain on the couple’s developing feelings for one another. Nanami’s and Yano’s relationship is also threatened by Yano’s best friend Masafumi Takeuchi, who has feelings for Nanami, and Yuri, Nana’s little sister who has held unrequited feelings for Yano since junior high school. 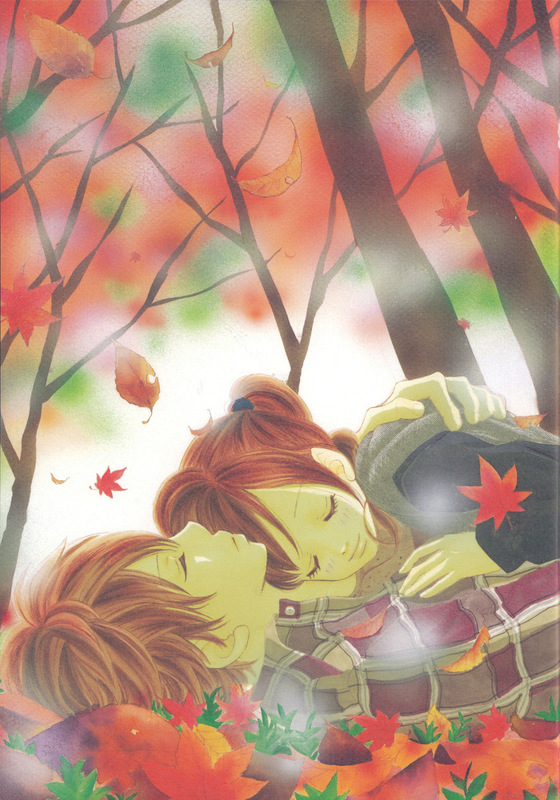 The first eight volumes cover Nanami and Yano’s high school romance, culminating when Yano decides to move with his mother to Tokyo. The highlight of the series occurs right after Nanami sees Yano off at the train station: in a sadly shocking yet realistic twist the reader is thrust four years into the future near the end of Nanami’s college career, only to find out that she and Yano never saw each other again. The latter half of the series follows an adult Nanami struggling to overcome her feelings for Yano and accept a relationship with Takeuchi. As the series draws near it’s end, the pieces of the puzzle are coming together as both Nanami and the reader find out what happened to Yano and why he broke his promise to reunite with her. And while the events that occur to the characters may seem melodramatic, the characters’ reactions are all wonderfully written and heartbreakingly realistic. And yet it’s because of how authentic the series has been that I am fearful of how it will end. As much as I love realistic endings, I can’t help but want Nanami and Yano to find their way back to each other, even if that seems impossible. Their long-awaited reunion in volume 13 was bittersweet at best: Yano coldly tells Nanami he dumped her, and Nanami quickly figures out that Yano and Yuri are living together. But the fact that he dreams of Nanami at night suggests that he still loves her as well, and it’s obvious that Yano’s feelings for Yuri are more of an obligation to help her sick mother than romantic. I think the reason I want things to work out for them even though they’ve suffered so much is because in the end I feel like neither of them are at fault for their relationship failing. While some may blame Yano for deciding to abandon Nanami and his friends after his mother’s suicide, all I wanted to do was wrap my arms around him and give him a big hug. Just as Nanami hasn’t been able to let go of what once was between her and Yano, I haven’t been able to either. I can understand why some have problems with Nanami and Yano’s relationship, because even at their best they were far from perfect. While Nanami is for a long time is constantly threatened by Yano’s lingering feelings for Nana, Yano oftentimes isn’t completely honest with Nanami, which stems from his fear of being betrayed again just as he was by Nana. But I still believe that when it comes to Yano and Nanami the good outweighs the bad. Yano loved Nanami the best way he knew how, and one of my favorite scenes when he says that he wishes he could change his past to stop her from crying. The scenes of them making fun of how cheesy they are as a couple or wishing under the stars to grow up so they can be together always still warm my heart through the bittersweet moments. And while there are some readers who wish Nanami would move on and learn to love Takeuchi, I can’t say I want that to happen. I was happy when Nanami rejected Takeuchi’s marriage proposal since she would only be hurting him had she accepted it, because along with the fact that she lacks passionate feelings for Takeuchi there are other problems I have with them as a couple. While some readers are frustrated with Nanami’s inability to let go of all of the hopes she’s placed in her relationship with Yano, I feel as though these readers wish Nanami will choose to be with Takeuchi just so she can move on, which in my opinion doesn’t have to be with Takeuchi. Takeuchi may be the kind and selfless friend Nanami has always turned to, but I’ve always felt that if he were truly selfless he wouldn’t put so much pressure on Nanami to choose him, or constantly remind her of the fact that he’s always been there for her. And in terms of Yano and Takeuchi’s friendship, it doesn’t seem as though either one of them is fully comfortable with the thought of Nanami and Takeuchi being together, despite the fact that Yano asked Takeuchi to take care of her after his mother died. Yet while the loose strings between Nanami and Yano seem to slowly tying together, there is still one thread that has so-far been left hanging: Nana. For the past six volumes or so, Yano’s late girlfriend has played a minimal role in the series. This makes sense because it’s been several years since her death occured and the characters have all naturally moved on, but I feel that the end of We Were There would be incomplete unless she was brought back into the series one last time. With all of my hopes for the cast of We Were There, even if the series ends on the bittersweet note it seemingly has been heading towards, reading it is the most enjoyable heartbreak you’ll ever experience. As much as I wish for a happy ending in We Were There, what I love most about the series is how beautifully it shows that there is no easy solution to problems of the heart. This manga is on my list of things to read. Your review of the series sounds promising, so I’m quite excited to delve into this tearjerker in the future. I’m guessing you haven’t reached the last volume yet? While I do love stories with happy endings too, I actually end up liking any story that doesn’t end in a way a reader would expect it to. At least if it’s done right. Sometimes stories end in ways we don’t expect it to, but the ending doesn’t make sense or it just leaves a bad taste in your mouth. The manga just finished in Japan, so the last two volumes haven’t been released in America yet. I’m the same as you – although I prefer happy endings bittersweet endings can stand out just as much; if not more. That being said, I feel like the characters have been miserable for the past several volumes and would like to see them have some sort of happiness – they definitely have earned it. And I hope you give We Were There a chance! 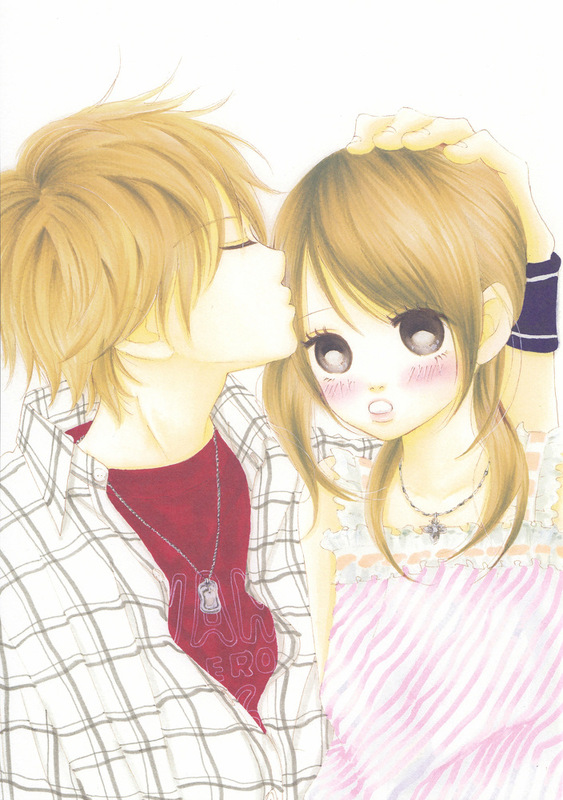 Enter your email address to follow Shojo Corner and receive notifications of new posts by email.